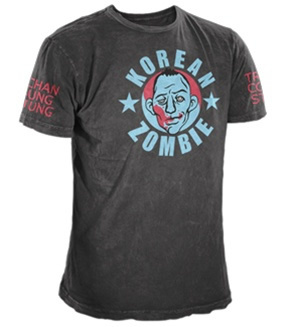 This Korean Zombie Signature shirt was worn by Dana White during the UFC 113 Weigh-ins and due to popular demand, it’s being stocked by MMAWarehouse for only $29.99! 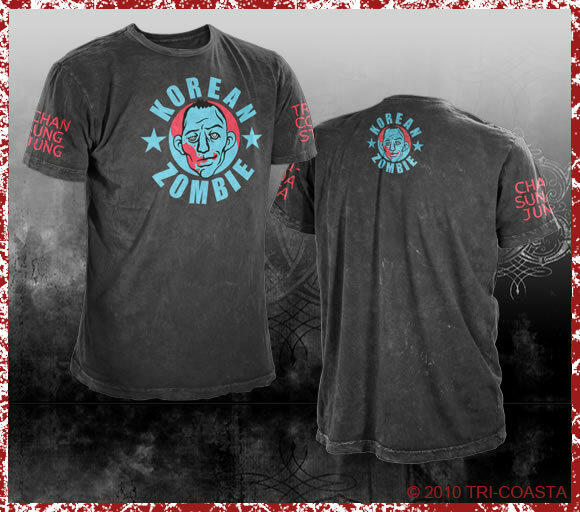 Tri Coasta has come up with a shirt in honour of the Chan Sung “Korean Zombie” Jung after the 3 round war he fought against Leonard Garcia in WEC 48: Aldo vs. Faber. He may have lost the controversial decision but props to both men. I really don’t know why more people don’t make shirts like this. Humor needs to find its way into the MMA world, it could be a huge find.